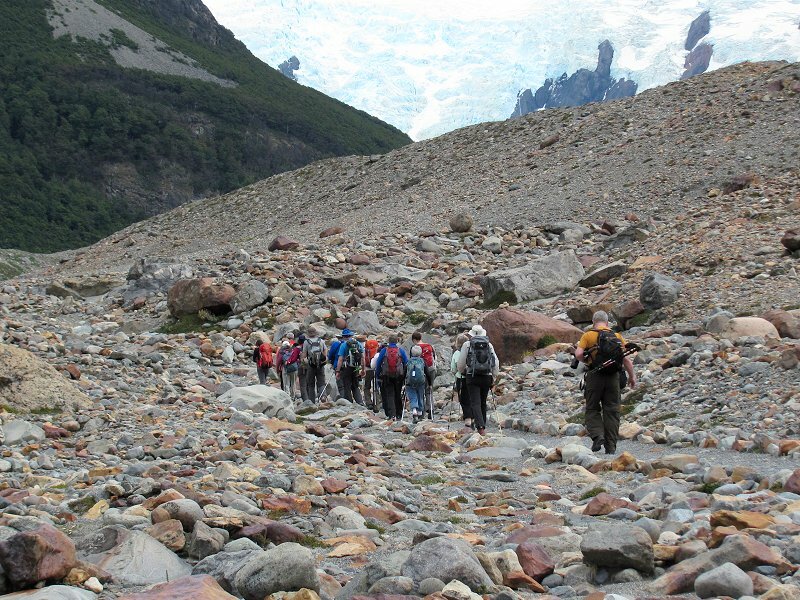 The group hiking along the base of the terminal moraine that hems in the Laguna Torre ("Tower Lake"). 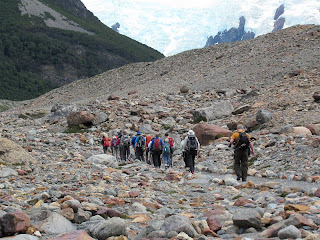 Above the moraine you can see the glacial ice that drapes the Cordon Adela. A view of Laguna Torre from its moraine. 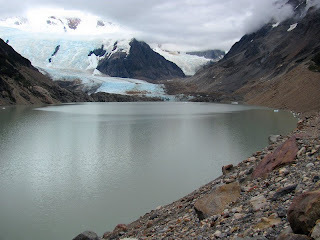 The skies were overcast, but it's still a beautiful scene. A few icebergs were floating in the lake calved off the Glaciar Grande (left background) that empties into the lake at its head. 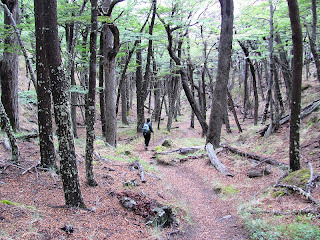 Heading back to El Chalten through peaceful and beautiful lenga woodlands below Laguna Torre. 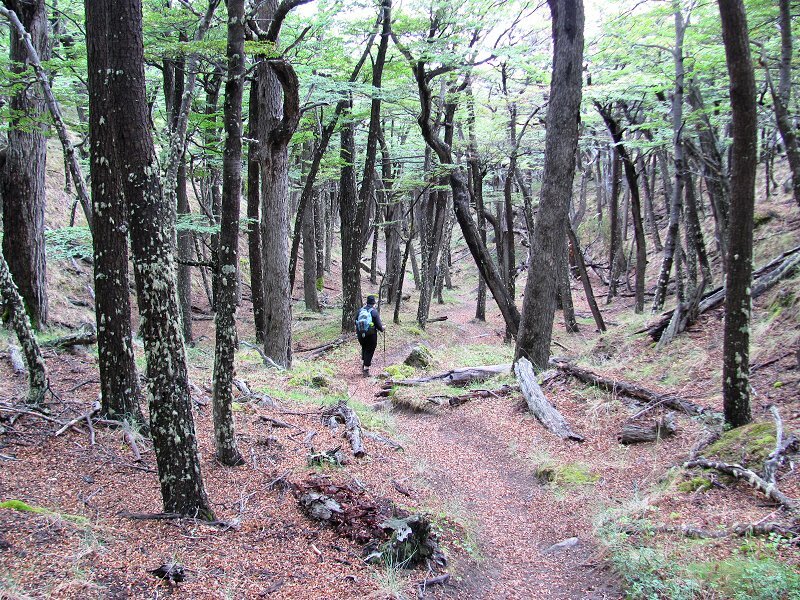 Lenga is one of the species of southern beech (Nothofagus) found in Patagonia. 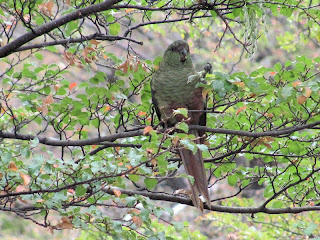 Came upon a flock of austral parakeets (Enicognathus ferrugineus) squawking in the lenga trees as we neared El Chalten. That was a treat! 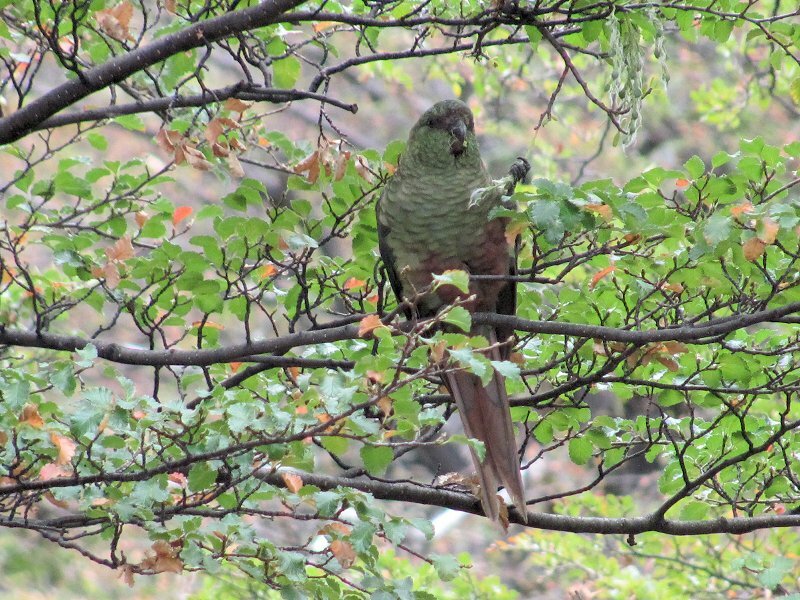 Here's a glimpse of one of those birds. 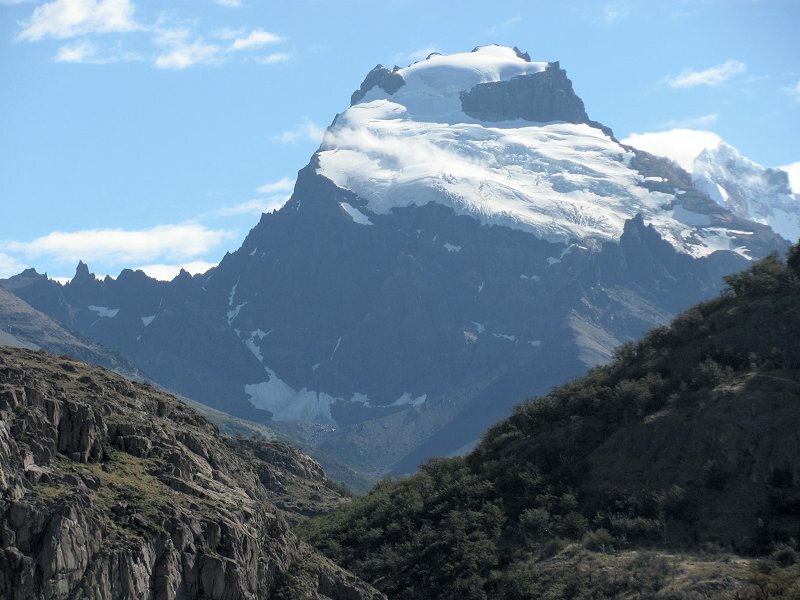 Just before reaching El Chalten, the sun finally broke through the cloud layer revealing glacier-topped Cerro Solo against a blue sky! Peaks of the Fitzroy massif draped in swirling clouds. 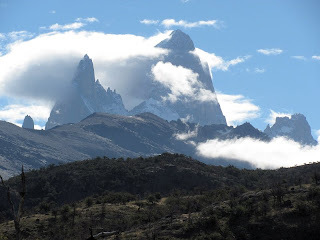 The peak of Fitzroy is in the center of the photo; Poincenot is the next highest spire to the left of Fitzroy.